Looks like a fairly standard Nipon Denso unit, should be loads on ebay. Have a look for the ND part number on it. Why would I want to look on eBay? This one isn't even a year old. To find the spec's, see what it should be putting out? IIRC you swapped to DTA setup. Are you are mapped off the TPS ? with no idle control valve. As a result the revs are dropping due to the extra pull on the alternator and as a result on the engine(speed/revs) therefore slowing the engine down. I had this on my red mini, when I put the air con and lights...IIRC Steve(map man) had to put in more advance and fuel at the very low end of the revs, to just about 'catch the engine before it stalls'. The other option you have is to increase you idle speed. So did you fit another higher output alternator Jerry? Or is my new alternator melonsed ? But i haven't got anyway near the demand your talking about? Paul - does the engine have an Idle control and is the DTA set up to use it? 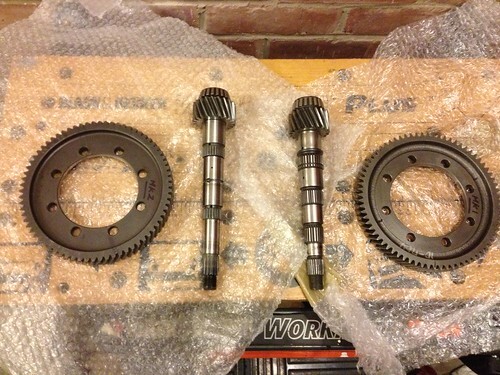 These are the bad boys you need to reduce rpm and make your 1st usable. I will try to get you a set.